I love hiking on unbeaten paths, but it can be pretty tiring especially when you’re not wearing the most comfortable hiking shoes. The Superfeet BLUE Comfort Insoles adds comfort and support for your feet, so you can hike for hours without getting hampered by pain. 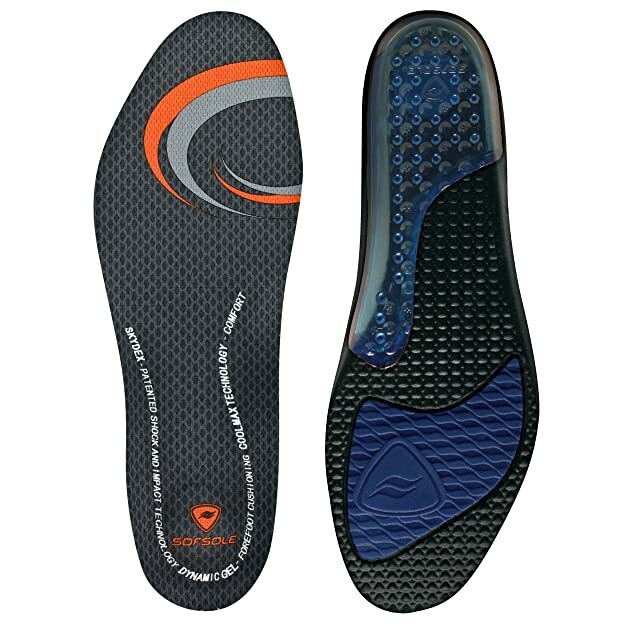 I use these insoles during most of my hiking trips, especially those that require long walks. 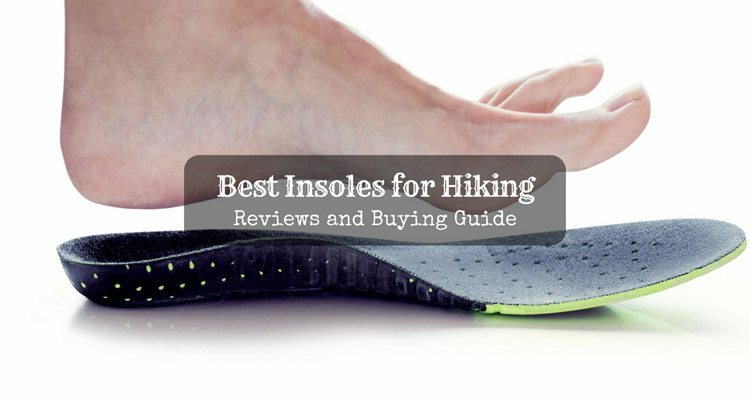 One of the best features of these insoles is their orthotic shape and design, which is great for regular day hikes and even more intense climbs. It provides impact-absorbent heel cups that can withstand long hours of hiking in extreme conditions. It also has a high-density foam layer that provides enough cushion for long-lasting comfort. What I like best about these insoles is their shape. It puts support in the right places and does not take up much space in your hiking shoes. They provide just right structure and arch support for your feet. 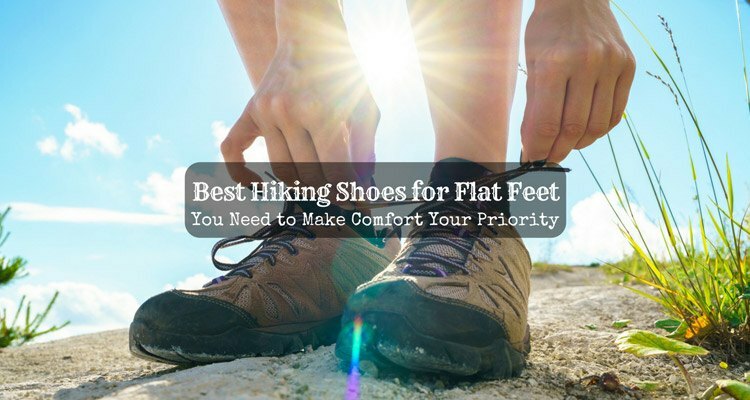 They can fit most hiking footwear even those with non-removable insoles. Their coating is made from all-natural, organic materials to prevent odour. The sizing could be a problem. If you have larger shoes, you might have to buy the next size up and cut the excess. 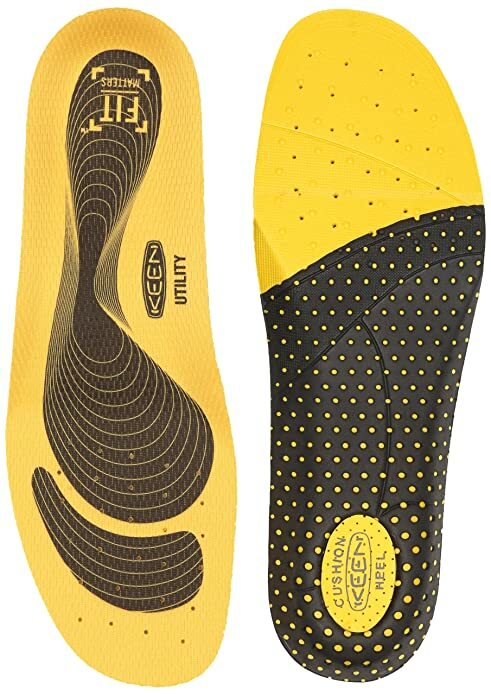 Another product on my list is the Keen Utility K10 Replacement Insoles. Since it is made for shoes with low to medium arch, I use this for most of my hiking rubber shoes and some boots. These are the perfect insoles for my regular hikes because of their full-length cushions that aren’t that thick. The Keen Utility K10 Replacement Insoles are not only perfect for hiking but also for jogging and other outdoor activities. The material has antimicrobial properties for odoyr control, making it the right choice for those with sweaty feet. I love how these insoles make me feel confident even after I do my outdoor activities since I know I won’t have smelly feet once I take my shoes off afterwards. 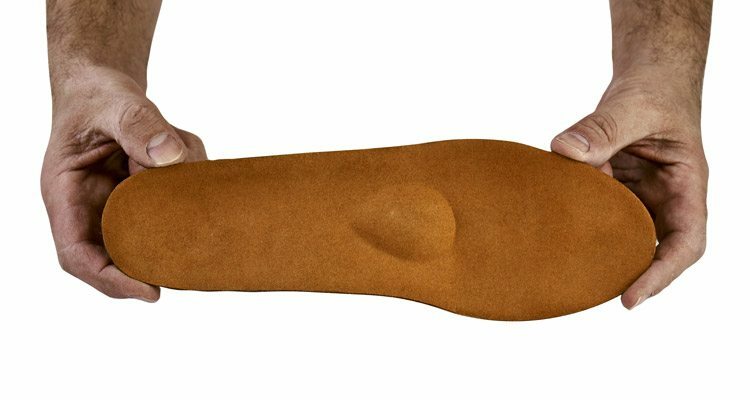 The medium-sized insoles fit perfectly and do not require any trimming. 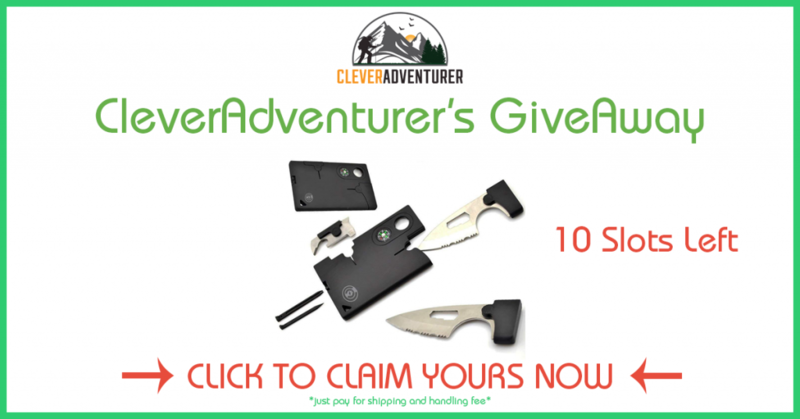 They feel great and hold up well in hiking and other outdoor activities. They can help relieve foot pain. They only provide a small amount of cushion. Sizes can be a problem if you are a half-size. You could sometimes feel your foot slipping inside the shoe. Whenever I do strenuous hikes, the Sof Sole Athlete Performance Insoles is one of my go-to shoe inserts. The insoles’ gel material and neutral arch design provide just the right amount of cushioning, so they don’t feel too mushy or too hard on my feet. I like how these insoles fit not only my hiking shoes but also my casual footwear. Overall, these insoles provide the necessary comfort for hiking. They are also made with moisture management treatment, so my feet stay cool and dry during my hikes. However, I did experience some problems with their sizes, and I had to trim the toe area to make them fit my shoe. I couldn’t cut them in the areas near the heel since they might change the placement of the heel cup. They have flexible arch pads for a more natural movement. Their gel cushion helps prevent sore feet. They are sold at an affordable price. They feel just like standard gel pads. They don’t provide that much arch support. A friend of mine who also loves to hike uses the Sof Sole AIRR Performance Insoles during her trips. Though I haven’t tried using it myself, I still commend it for its shock absorbent feature. My friend told me that she uses them not only for hiking but also for cross-training and running, and these insoles still hold up well. I love how the insoles have air bubbles in the arch and heel to prevent my feet from aching whenever I do outdoor performance activities. They also have a gel in the forefoot that provides the best cushioning for any activity. Personally, if you want soft and comfy insoles that are made to fit athletic shoes, then these are the right ones for you. The arch support helps stabilise you when you’re carrying hiking gear. They provide a lot of cushioning for added comfort. They are quite thick and might not fit into many types of shoes. 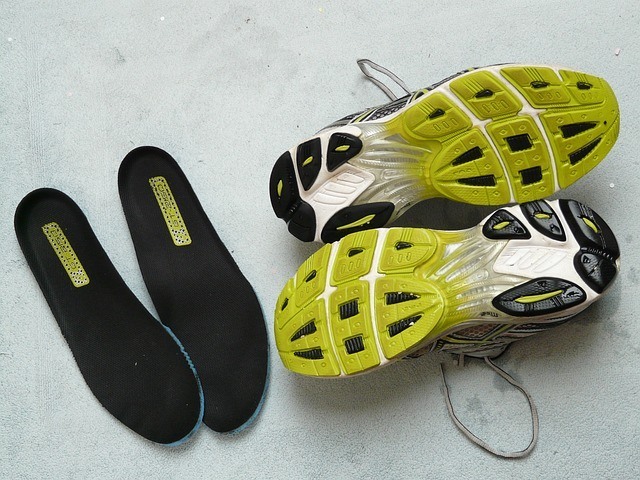 They are not flexible enough, and some parts of the insoles stick out of the shoes. There are some issues with the arch support; though the sides come up to support the feet, there is no real support under the arch. 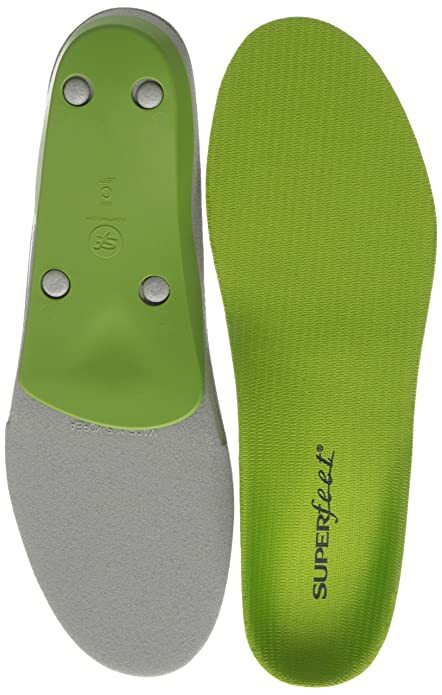 If you want insoles with a deep heel cup, the Superfeet GREEN Orthotic Insoles are the best ones that I know. The insoles are 2 inches high and 4 inches wide and have soles made of rubber. What I love most about these insoles are their heel cups; they are the widest ones that I’ve ever tried, and they are thick enough to provide maximum support during my hikes. Another thing that I like is the stabiliser cap, which is found at the base of the insoles. They give added support to the rear foot and make the insoles more stable inside the shoe. These shoe inserts also have an odour-control coating, so I know my feet won’t release some funny odour when I take off my shoes. They help relieve common arch, foot, and heel pain. They don’t have gel, and they don’t flatten out easily. The firm arch gives a great amount of support for the feet. You might feel a little discomfort when you use it for the first few hours or days. They could wear out easily if you use them often. You might need to trim them to fit your shoes perfectly. A common problem during and after a hike is tired feet and muscles. Orthotic insoles can help save your feet from tensions and fatigue, especially on its tendons and muscle fibres. People who walk or run too much often feel pain on their feet, affecting their normal movement. Some would even experience inflammation especially on the lower surfaces of their feet. Using insoles can decrease foot pain since they distribute the pressure from the body to the feet evenly. It also provides support on the painful areas of the foot and absorbs the shock from sudden movements especially when hiking. There are cases of people with flat feet suffering from a lot of pain in their heels and feet. The pain might even spread to their knees. This is because they have a few arches. Some have no arch at all. By using insoles, people with flat feet are provided with false arches. This distributes the weight evenly on the foot, making the hike less painful. Overpronation occurs when the arches of the feet flatten gradually and cause pain. This is often because of overworking the legs or exerting too much pressure on the feet muscles. This ailment is the leading cause of other problems such as heel and knee pain, sprains, and Achilles tendonitis. By using orthotic insoles, the feet receive lesser pressure from the body. 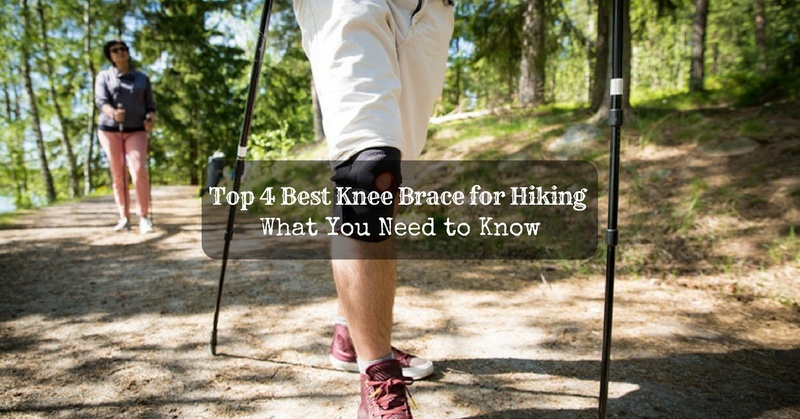 They also keep the ankles and knees strain-free during long walks. 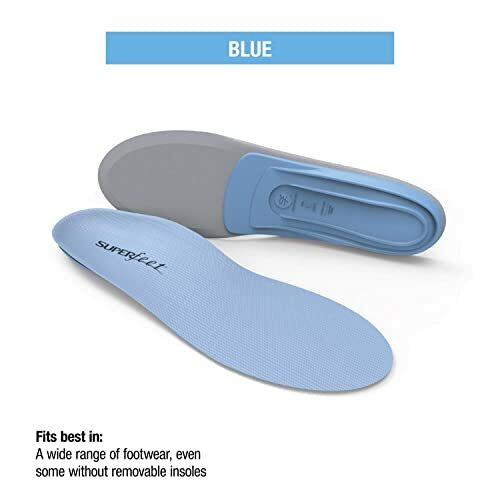 The materials used and the way insoles are formed help relieve any pain in the hip regions, metatarsal and knee joints, and backbone and back muscles. 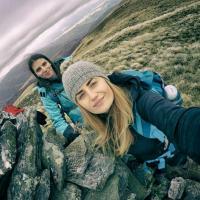 The type of insoles you’ll need for hiking are those that are called ‘sport’ or ‘support’ insoles. They are made of harder materials for better stability and structural support. The increased stability also provides comfort rather than the super soft insoles that can be found in drugstores. Support insoles are highly recommended since they help prevent you from getting severe aches during a hike. Insoles have different volumes. This means that some could take up more space in your shoes than others. For most insoles, the arch shape and the volume are proportional to each other for a better fit. For hiking boots, you’d want to get high-volume insoles. These work best for those with high arches. Medium-volume insoles are perfect for athletic and casual shoes and can go well with different arch profiles. Low-volume ones are fit for skate boots or cycling shoes. People with low arches will also find low-volume insoles as their best choice. 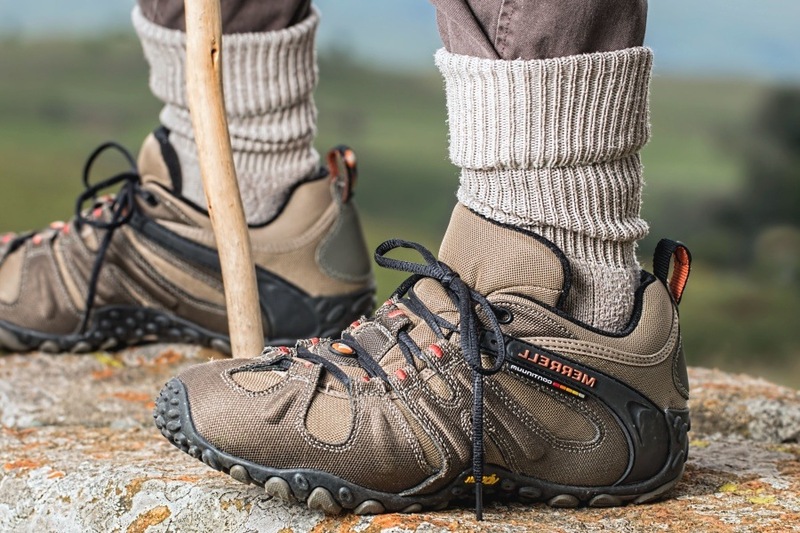 Best Hiking Boots for Wide Feet: When Comfort is the Right Fit! If your feet are too sweaty, remove the insoles after use to allow the moisture in between the shoe and insole to dry out. 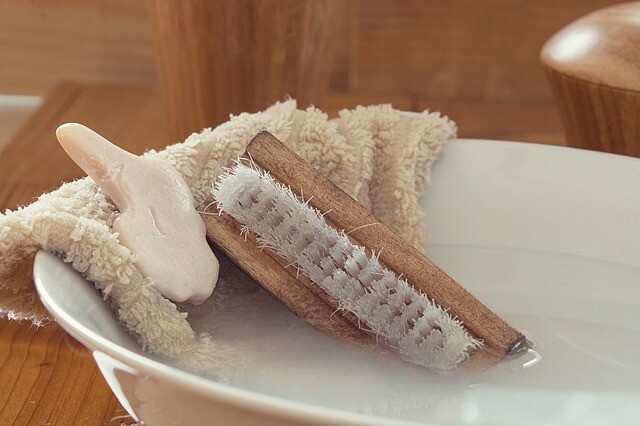 If you feel like your insoles are too dirty to be used again, you can wash them by hand. Use a mild detergent and let them dry before inserting them in your shoes. All the insoles mentioned above have their own advantages and disadvantages. Though I like all of them, there is one product that I prefer over the rest. I’ve found that the Superfeet BLUE Comfort Insoles are the best insoles for hikers. They are flexible and durable enough to withstand all my hiking activities. I love how they give my feet all the support that they need, and I also like how they fit perfectly in my shoes without having to trim them. I have been using these insoles for months now, and my feet felt more comfortable during and after every hike. 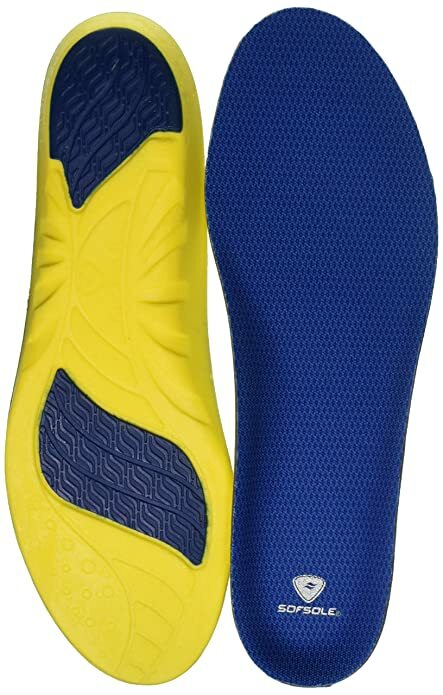 Overall, I pick the Superfeet BLUE Comfort Insoles for the comfort, durability, stability, and support that it provides.